Griffith Jones, was born at Nefyn on the 23rd of January 1867, and as a boy was known by the locals as “Guto Pegasus”. The son of Capt Griffith Jones, a native of Llannor (Born 1831). His father took command of the Nefyn schooner “Pegasus” on the 6th of December 1867. So with his family background, and his exposure to all things maritime that Nefyn had to offer, it was inevitable that young Griffith would follow in his father’s footsteps and go to sea. 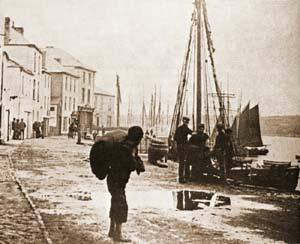 His mother died in the late 1870’s, and in April 1880 when he was just thirteen years old, with his kitbag on his back, young Griffith left his nineteen year old sister Margaret at their home in Well street Nefyn, and walked all the way to Caernarfon where he joined the 75 ton schooner "Elizabeth Beck". From his humble beginnings, as a cabin boy, he worked his way up through the ranks. "Guto Pegasus" arriving at Caernarfon. second from left middle row, next to the Cook. 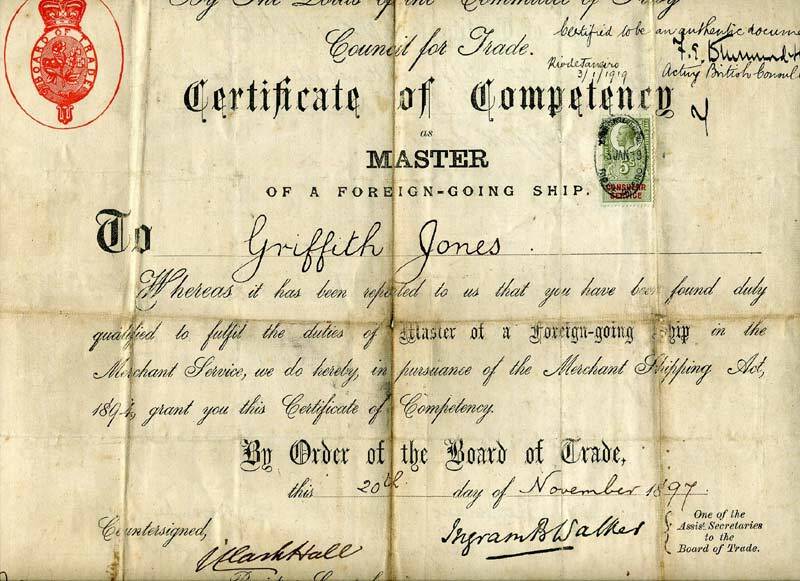 Capt Griffith Jones's Master and Certificate 1897. He was Chief Officer on the Carnarvon Bay 1899 ~ 1900. *His desertion was caused by (as usual) being kept on shore by "Crimps" These were men that persuaded seamen to desert from a ship, in order to sell them to another. He was known as ‘Guto Pegasus’ as his father was master of the Pegasus. Griffith Jones first went to sea in April 1880, aged 13 as a ‘Boy’ on the 75 ton schooner ‘Elizabeth Beck’ After a year he was an Ordinary Seaman and in June 1883 he became an Able Bodied Seaman. Until May 1884, Griffith Jones served on smaller vessels such as schooners and smacks. In July 1882 he left the ‘Cambrian Queen’ in San Francisco and was reported as a deserter but exonerated by the examiners. It would appear that he served on various vessels around the American coast for about eight months. 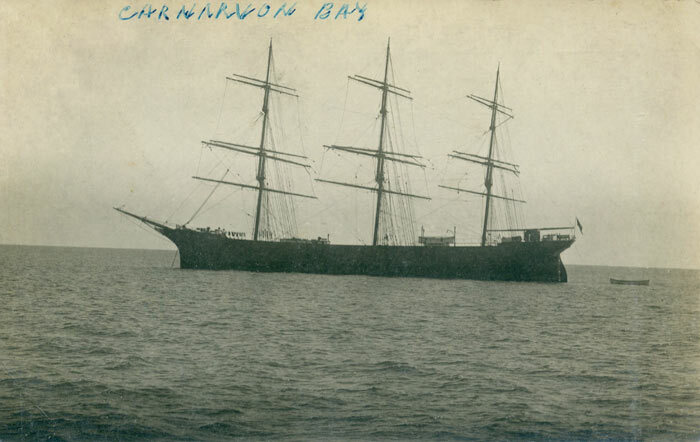 His next ship recorded is the ‘Pengwern’ which he joined in March 1886. By July 1889 he had enough sea time to sit for his 2nd Mates certificate. He presented his papers on the 20th July 1889, and was examined and passed in Dublin on the 14th August 1889 and his certificate issued at Beaumaris on the 22nd of August 1889 Certificate 021466. This number was retained for all his certificates. His application form shows him as being 5ft 8ins tall, brown complexion, dark hair and grey eyes. On the 3rd of October he was 2nd mate of the ‘Portia’ 1414 tons. He made two voyages one of 1yr 3mths 13 days and the other 1yr 7mths 12 days. This gave him sufficient sea time to qualify for his 1st mate’s cert. He paid 10/- (shillings) on the 2nd of December 1892 when he presented his papers. His address was 18 Prussia Street, off Hall Street, Liverpool, this would have been a boarding house while he was attending a Nautical School, he passed his exam on the 15th of December and his certificate was issued on December 21st 1892. 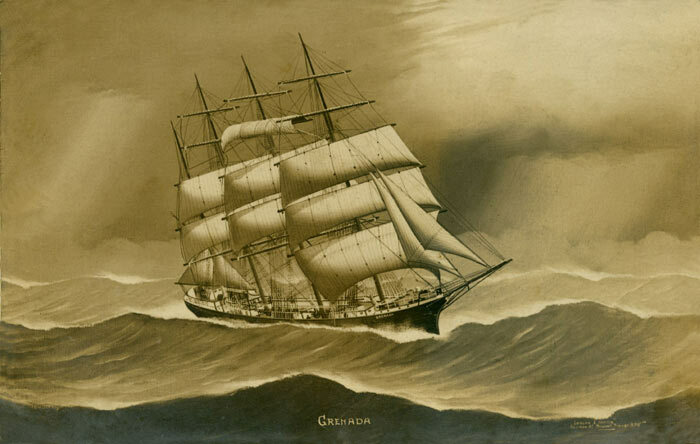 In January 1893 he joined the ‘Bass Rock’ a barque of 1014 tons as 1st Mate, where he did two voyages, 10mths 11days and 1yr 7mths 15days, leaving her on the 1st of July 1895. 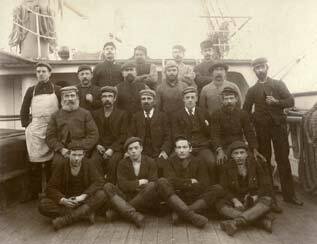 His next vessel was the ‘Gantock Rock’ a ship of 1555 tons, which he joined 6th November 1895 as 1st Mate and left on the 14th of October 1897 after a voyage of 1yr 11mths 8 days. The examination took place in Liverpool on the 15th November 1897 and his address while at School was 72 Upper Pitt Street. The certificate was issued in Beaumaris 27th November 1897. 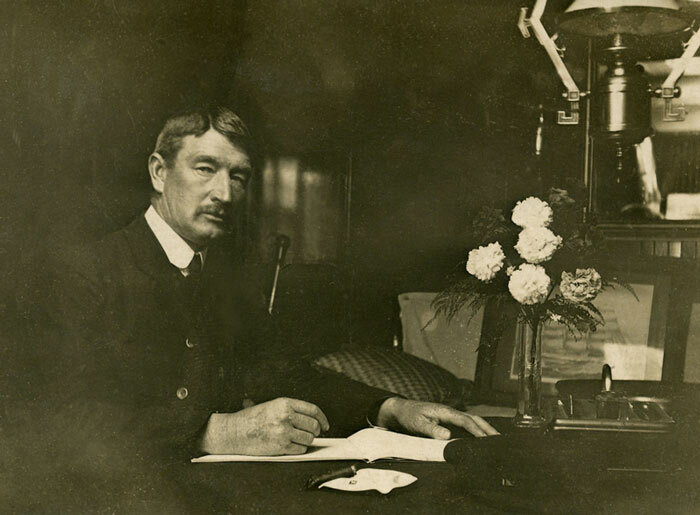 By the 5th of December he was Chief Officer of the Lismore, in 1899 The Caernarvon Bay and in 1903 the Croydon. In February 1904 he joined the Langdale as Master and served on her until he joined the Grenanda in December 1910. The Grenada sailed from London in ballast for Le Havre and New York, when attacked and sunk by a U boat 32 miles SW of Beachy Head. No lives were lost and crew arrived at Eastbourne pier at 1.30 am 23 – 11 – 1916. When he was an AB on the Lady Penryn from September 1887 to July 1888, the Captain was Capt William Jones, son of Cyll y Felin, Aberdaron. Capt Griffith Jones joined the Royal Naval Reserves in 1917 as did many merchant navy captains at the time, he resigned his commission after the war in 1919. 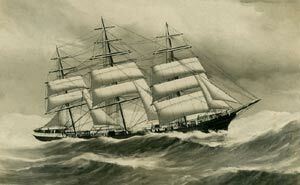 He was Chief Officer of the three masted fully rigged ship “Lismore” which he joined soon after passing his Master’s, in November 1897. 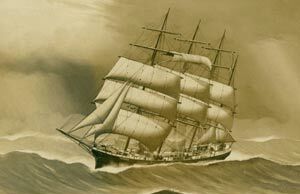 She was built in 1885 by Charles Connell & Co. at Glasgow, had a tonnage of 1676grt, length of 255ft, and a beam of 39ft. She had been completed in September 1885 for James Gardiner & Co. and sold to James Cornfoot & Co. of Glasgow in 1890. In 1904 he took his first command of the ‘Langdale’, of Liverpool, again a three masted, full rigged ship, and in July 1905 his wife Ellen joined him at Antwerp before they sailed around Cape Horn for San Francisco. This was the first of several voyages that his wife would accompany him on, and she rounded Cape Horn herself no less than six times. Built in Liverpool in 1885, by W H Potter, for J.D. Newton & Co Liverpool. She was 2047 tones, L 275 ft, B 40 ft, D 24 ft. Sold to Robert Owen & Co Liverpool in 1904. 1916 sold for £30,000, but on the 12th of March 1916 she sailed with a cargo of grain from Portland Oregon for the U.K. but was wrecked at St Michael’s Azores on the 8th of August 1916. 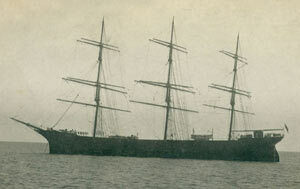 "Grenada"
Built at Greenock in 1894, by Russell’s. She was 2268 tones, L 278 ft, B 42 ft, D 24 ft. Bought by Gwalia Shipping Co in 1912, but Managed by Robert Owen & Co Liverpool. During the great war, she was captured by the Germans in the English Channel and taken to Hamburg as a war prize. Capt Griffith Jones and his family moved to Pwllheli and named his new home "Langdale" as his family had spent the best part of seven years on that vessel together, and had circumnavigated the globe at least five times. 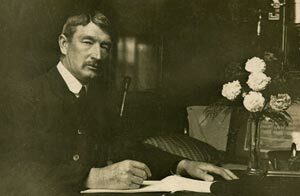 Griffith Jones, was a Cape Horner in the true sense of the word, and his wife Ellen wrote an account of her voyages with her husband in a little black notebook, they have never been published before, and they're quite fascinating. The late Aled Eames, renowned maritime historian, regarded these as some of the most important documents he had ever seen. We would like to thank the granddaughter of Captain and Mrs, Griffith Jones, for lending us all her family photographs and documents, so that we could bring you this fascinating account, of a truly remarkable family.